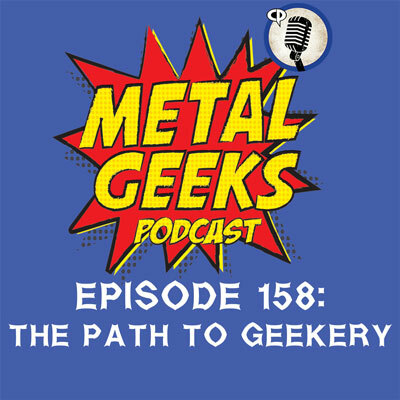 Spider-man | MSRcast and Metal Geeks Unite! 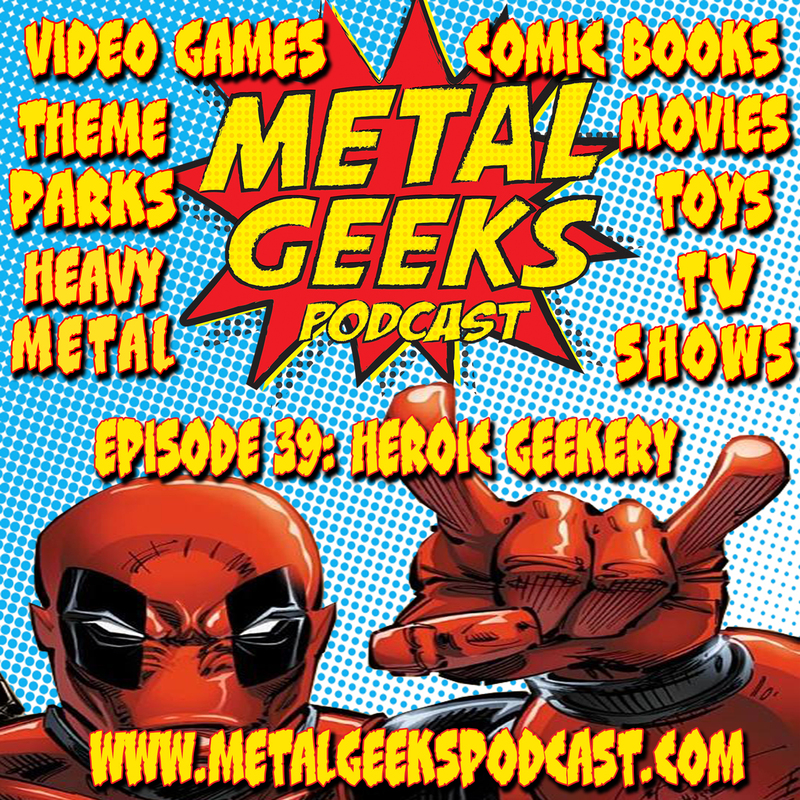 Coming off the back of issue 0, here comes the first installment of an 8 part mini series. With an all-star cast in this years first big event since “Infinity” (which in my opinion was so weak! ); lets dive in. When getting stuck into it felt like a right old English style “who did it?” Murder Mystery, if my memory serves me right I don’t think MARVEL has ever done? Picking up on the strong points it has to be the back and forth dialog. Fun conversations in the dinner with 4 of Marvels big hitters reminiscing about the past. Later on in the issue with a real “fantasy football” team-ups with the likes of Dr. 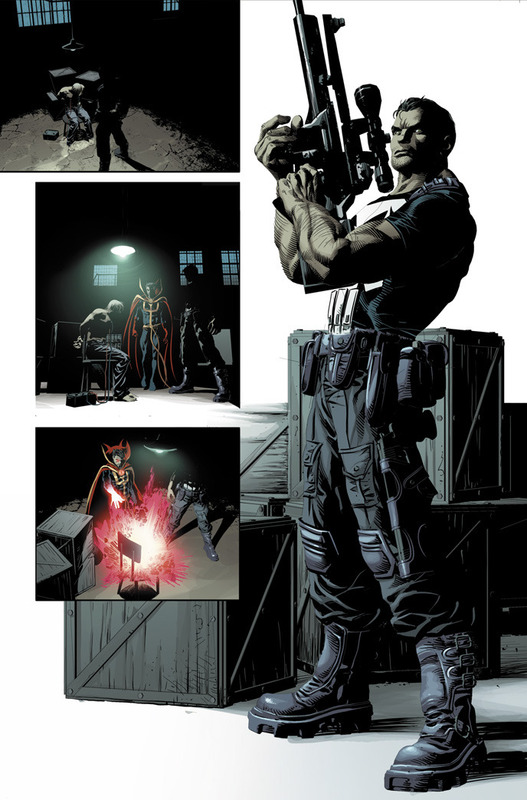 Strange, The Punisher, Moon Knight, and Gamora. Oh yes we are in for some heavy hitting soon! Moving back onto the art, Mike Deodato has drawn some outstanding images. 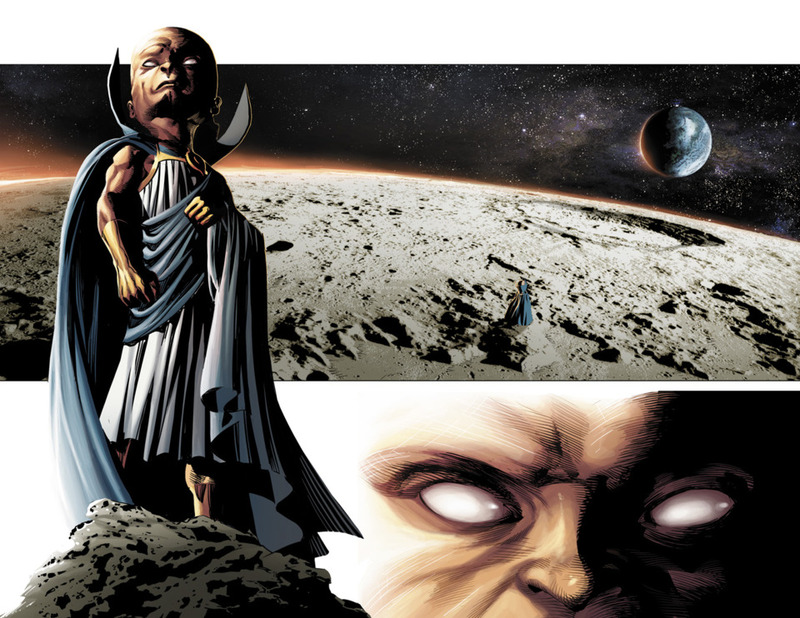 From the close-up shot of Fury with the shading to The Watchers lifeless body with blood spatter floating of into space. When you get to the action your featuring Spidey and the Thing going toe-to-toe with “The Mindless One”. The way this altercation pans out, you start to really feel for the creature. Having known nothing to knowing someone else’s pain and suffering and feeling things someone else has felt, then having to endure it is too much for anyone or anything living on this Earth. 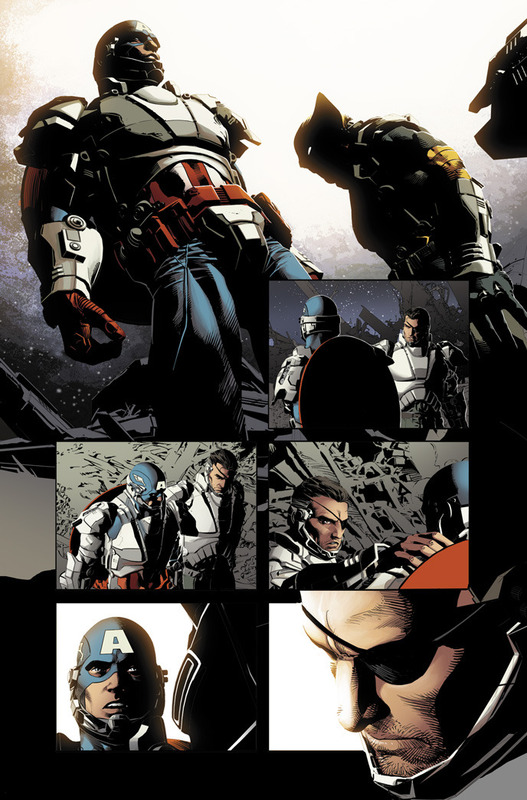 The end page has to be the most visually shocking thing I’ve seen done by Marvel in a while. A shadowed figure holding the watchers eyes! It really adds to the who the hell did it?! To wrap this up I’ve got to say I am very impressed with the first issue and im glad JM has given me this to continue with reviewing. I’ll be sticking with it all the way! It is worth every penny (or cent) but if your like me buy a few issues and read it all at once so you get a real buzz for what’s going on; but if you get itchy fingers just go ahead and read it ! This is another 5/5 horns for The Original Sin! So let me know what you think and reach me on Instagram or Tweet Me! 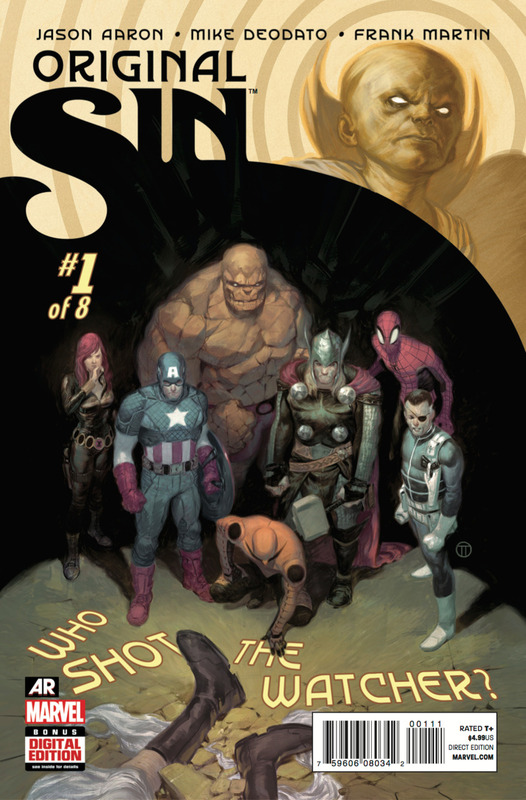 You can purchase Original Sin #1 “Who Shot The Watcher” from Marvel Comics or by locating your local brick and mortar Comic Book Shop here! 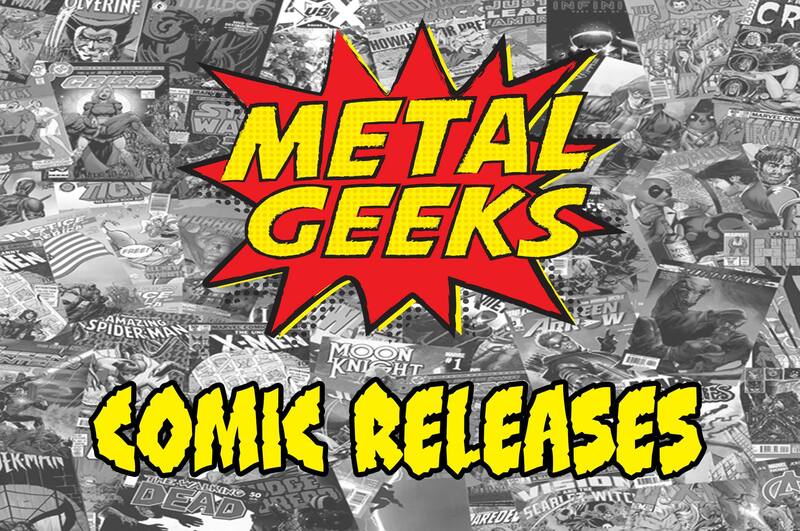 Here are the latest Marvel Releases. Make sure you support your local Comic Book Shop and buy comics you want to continue! Amazing X-Men #6 (Jason Aaron, Ed McGuinness) Nightcrawler is back at the Jean Grey School! But when Mystique comes calling, he may be returning to the afterlife very soon. Superior Spider-Man #31 (Dan Slott, Giuseppe Camuncoli) SERIES FINALE! The end of an era! A tale of triumph and tragedy! The GREEN GOBLIN unmasked! A hero reborn! But what does this mean for OTTO OCTAVIUS? !There’s only one man who can save us from the Goblin Nation…PETER PARKER: The one, true SUPERIOR SPIDER-MAN! Hulk #1 (Mark Waid, Mark Bagley, Jerome Opena) ALL-NEW DIRECTION! THE EPIC “BANNER D.O.A.” BEGINS NOW!!! Following the shocking events of last month’s INDESTRUCTIBLE HULK finale, Bruce Banner lies at death’s door! If he survives, it WON’T be as the Bruce Banner we’ve known! How will the Hulk wreak vengeance on Banner’s assailant? How CAN he? Ms Marvel #3 (C. Willow Wilson, Adrian Alphona, Jamie McKelvie) The All-New Ms. Marvel has already gained international fame. But in Kamala’s case, star-power comes with a whole lot of…awkwardness. Find out why the most exciting new Marvel hero is also the most loveable! Uncanny X-Men #20 (Brian Michael Bendis, Chris Bachalo) Cyclops and his revolutionary X-Men take on SHIELD! They get closer to finding those at SHIELD responsible for the Sentinels that nearly killed them, but find themselves in even greater danger! Winter Soldier Bitter March #3 (of 5) (Rick Remender, Roland Boschi, Andrew Robinson) SHIELD agent Ran Shen vs the Winter Soldier with the fate of the Cold War in the wings! Hydra’s top agents move in. High octane spy-fi action in the mighty Marvel style! X-Force #3 (Simon Spurrier, Rock-He Kim) X-Force races their foe, ruthless arms-dealer Volga, through the jungles of Brazil to locate a mutant who might be the key to his undoing. But can Psylocke curb her bloodlust long enough to complete the mission? And a new member is introduced to the team! What If Age Of Ultron #3 (of 5) (Joe Keatinge, Mico Suayan, Chris Stevens) TWILIGHT OF THE MARVEL UNIVERSE! In a world without Thor, the Norse end times of Ragnarök takes the lives of every super-powered being, leaving only the unpowered heroes of the Marvel Universe behind! Assembled under the leadership of Nick Fury, these powerless Defenders are all that remains to defend the planet from the Midgard Serpent! Ultimate FF #1 (Joshua Hale Fialkov, Mario Guevara, Mike McKone) The Future Foundation is all that stands between us and COMPLETE AND UTTER DOOM. Sue Storm, Tony Stark, Machine Man and Sam Wilson face the ONCOMING DESTRUCTION. A mysterious new member will join their ranks, whether they like it or not. Hint: They will not. X-Men #13 (Brian Wood, Clay Mann, Terry Dodson) BLOODLINE PART 1 Jubilee is haunted by Shogo’s past…or is it his future?! Wolverine #4 (Paul Cornell, Ryan Stegman) Why did Logan leave the Jean Grey School? Your Answers are here! Paul Cornell (WOLVERINE) and Ryan Stegman (SUPERIOR SPIDER-MAN) close off first arc of the world’s most dangerous mutant! 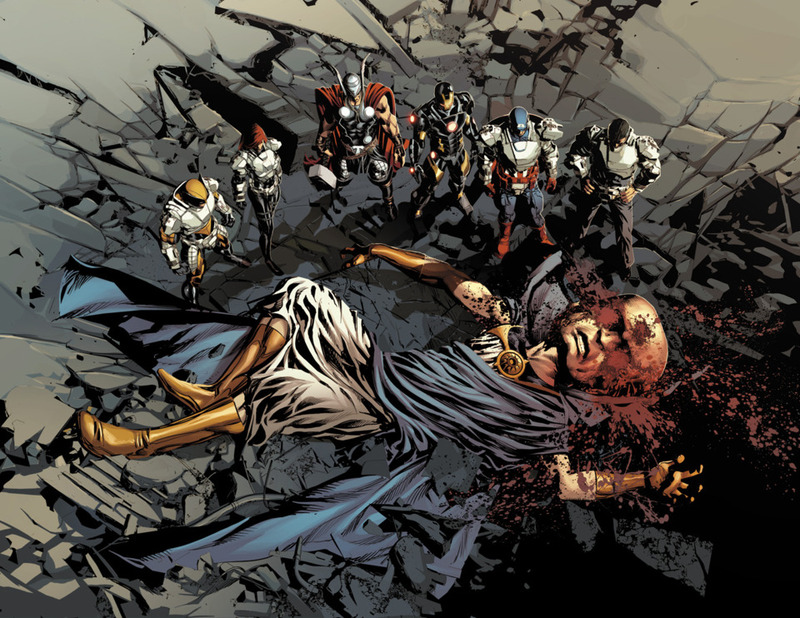 Thor God Of Thunder #21 (Jason Aaron, Esad Ribic) THE LAST DAYS OF MIDGARD, Part Three ROXXON strikes back! Broxton, Oklahoma under siege! The Minotaur shakes hands with the king of the trolls! And in the far future, King Thor is overwhelmed by the fury of Galactus!